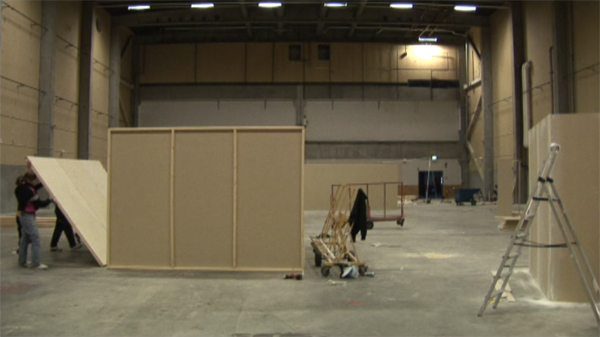 For the Spring Exhibition (Master's exhibition), Konstfack, Stockholm. 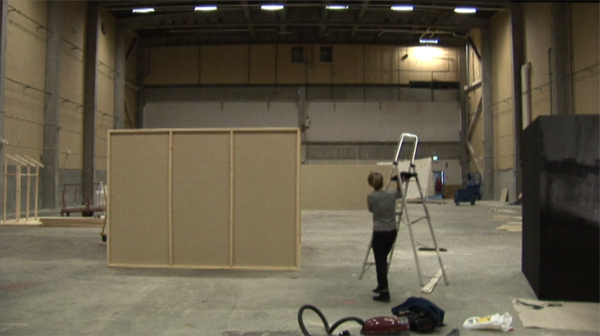 In TAKING OVER (METAMORPHIC ACTION) Konstfack's Spring Exhibition can slowly be seen taking shape. 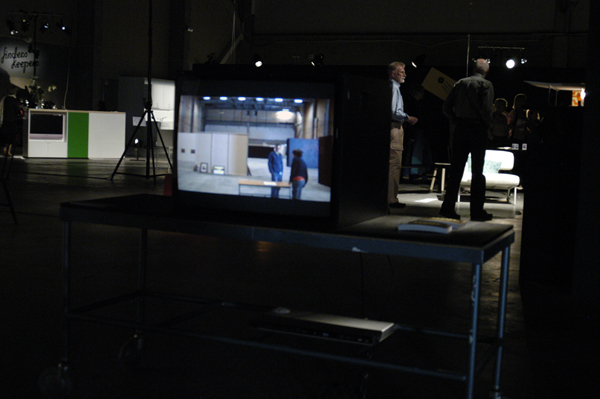 The video can be seen as a study of the organisation of space and at the same time a symbol for the transformation the building is about to go through and the changeover that is already happening in the area. 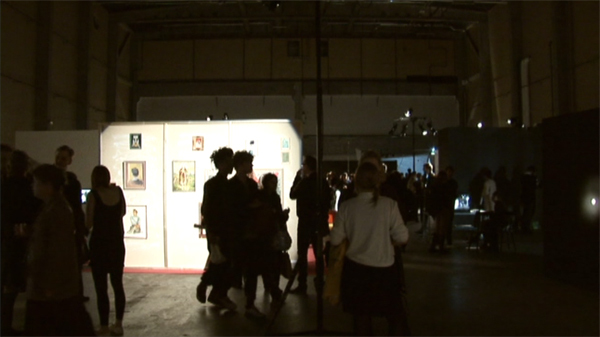 The exhibition is installed in Höglagret, a former warehouse of the Ericsson factory. 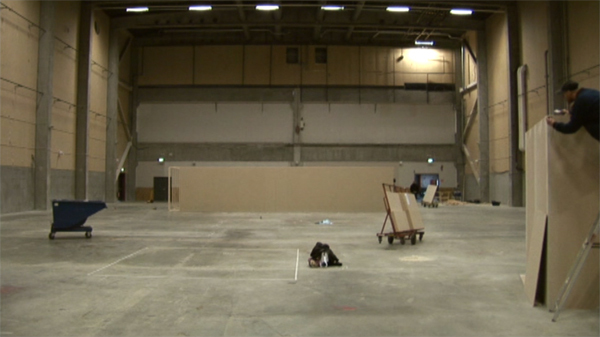 The production of Ericsson is now located in China and Konstfack has temporarily taken over the factory spaces. 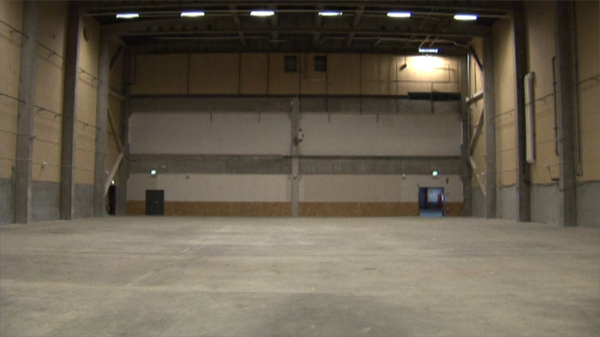 An award winning architect is drafting the plans for the new Höglagret, which will be an event venue. Telefonplan is expanding and marketed as a cultural area with future optimism. Taking Over (Metamorphical Action) is the first work in a series. 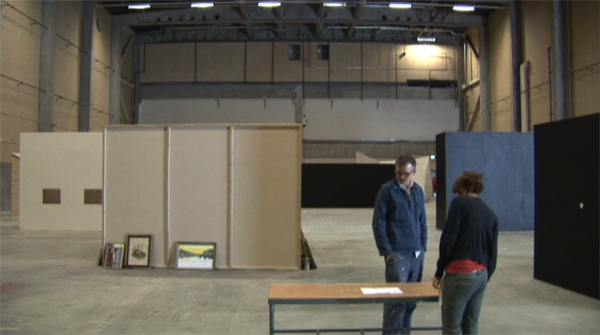 The other works are entitled Take II:Transition (Preparational Moves), made for Bonniers Konsthall in Stockholm in 2008, and Take III: Esprit de corps, made for the exhibition Temps Étrangers at Mains d&apos;Œuvres in Paris in 2012.